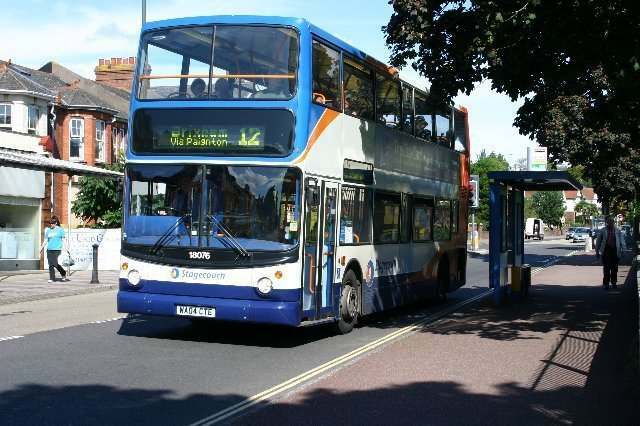 Many of the bus services in South Devon are operated by Stagecoach and the First Group. others of some of the smaller operators. All photographed in Autumn 2011. 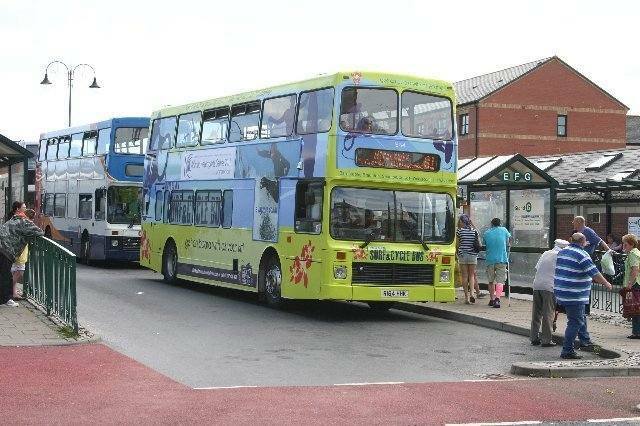 Volvo Olympian / Alexander 16058 leaves Paignton bus station with the hourly 120 service to Kingswear. 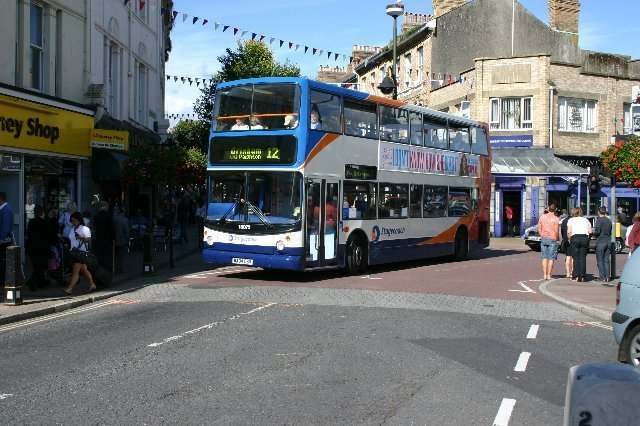 Dennis Trident / Alexander 17701 heads a 12A service away from Paignton to Castle Circus, Torquay. 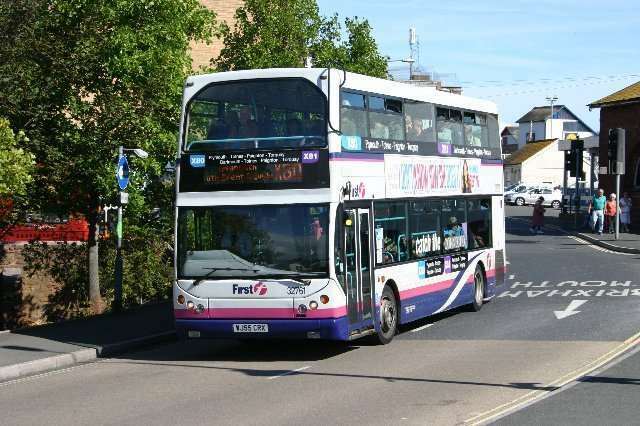 service No 12 from Newton Abbot to Brixham. 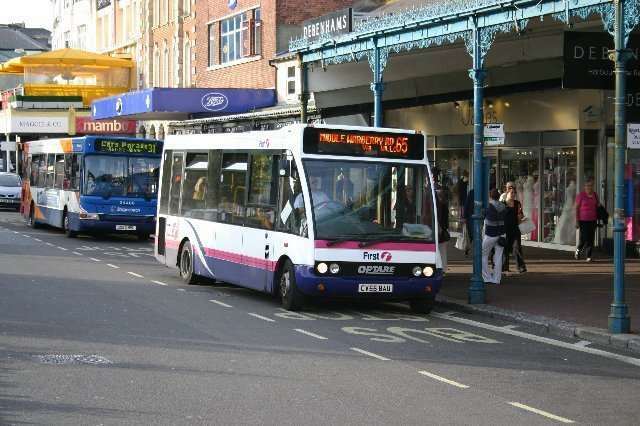 First's Dennis Trident 32761 at Paignton with an X80 service from Torquay to Plymouth. 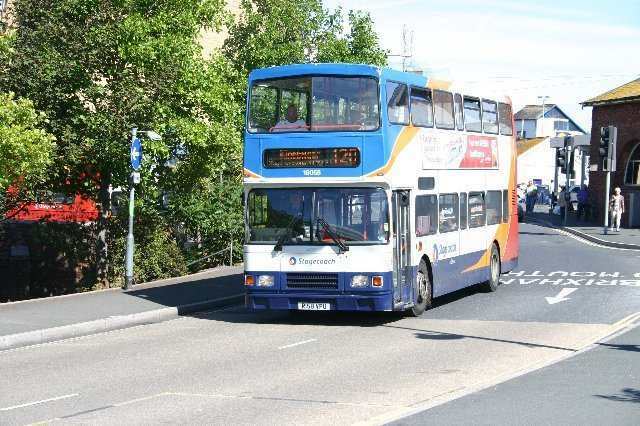 The X80 also sees some single deckers as here with 48226. Trident 18076 approaches Paignton with a No 12 Newton Abbot-Brixham service. 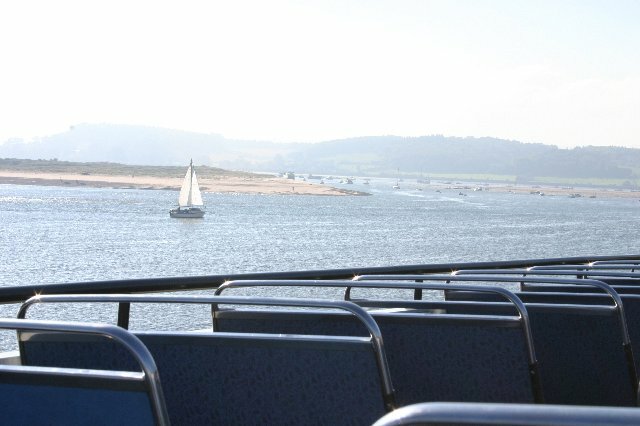 The Riverlink arm of the Dartmouth Steam Railway also operate some services locally. 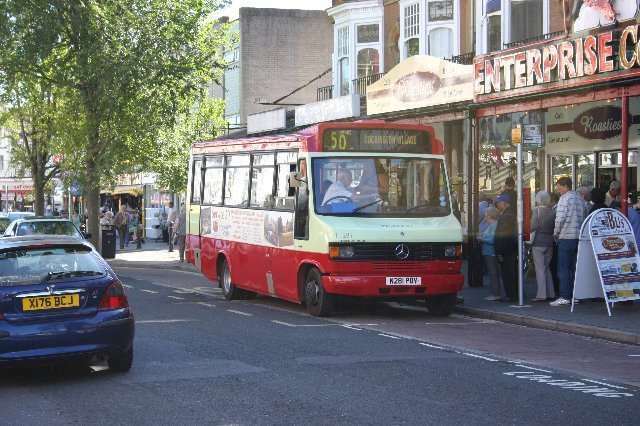 Here, Ex-Plymouth Citybus Dennis Dart No.7 K101SFJ leaves Paigton bus station with a No 100 service to Totnes. 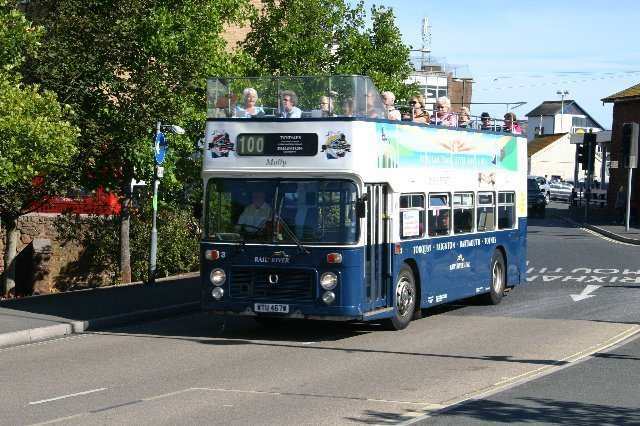 A classic Ex-Crosville Bristol VR open topper here on River Link 100 service to Totnes. 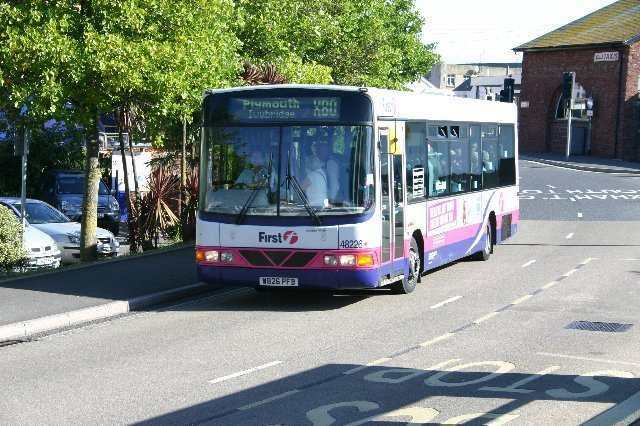 WYU467W (Fleet No 3). 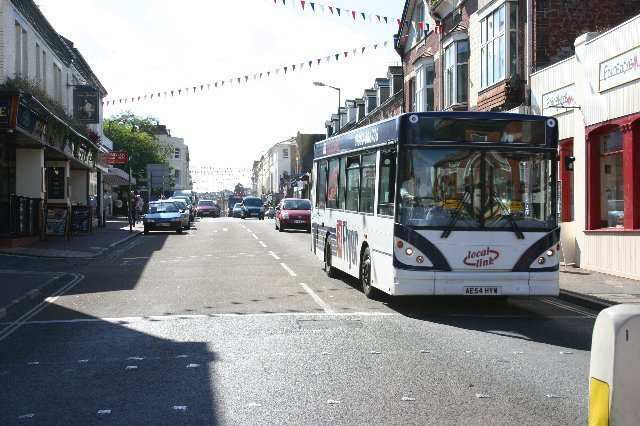 Devonia services also operate in Torbay on services 50, 500 & 501. 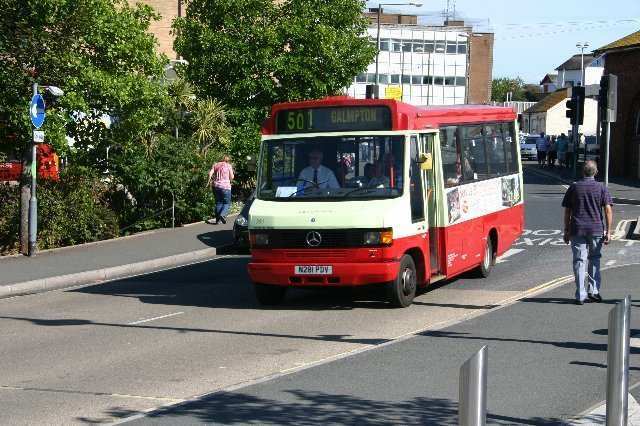 Here, an Ex-Plymouth Citybus Mercedes 709D N281PDV waits to depart with the 50 service to Cockington village. utilising the same Mercedes 709D as above. 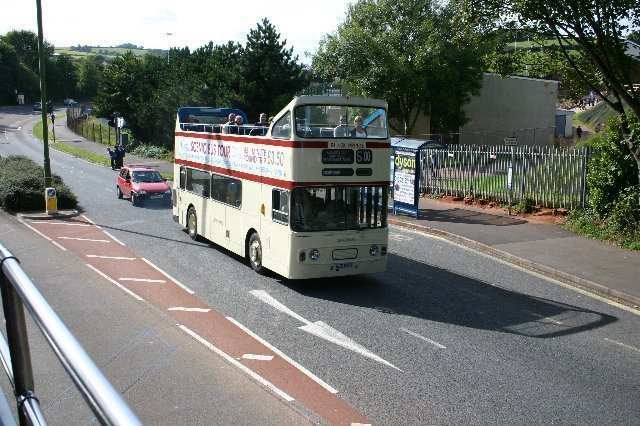 Leyland Atlantean GJZ9571 'Black Prince' passes Paignon Zoo. 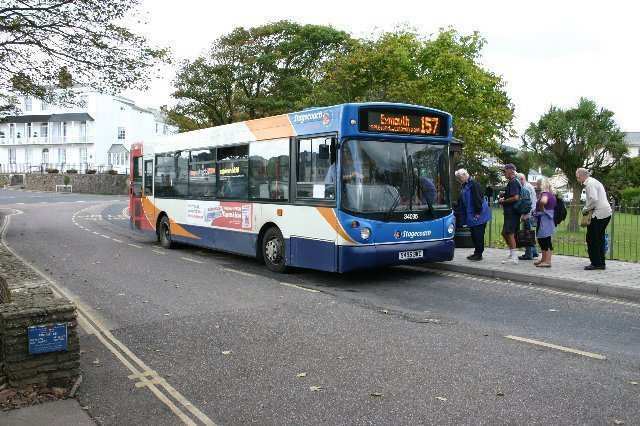 Stagecoach Optare Solo No 47106 in charge of a local No 5 Foxhole service in Paignton. service with Dennis Plaxton Pointer No 34407. 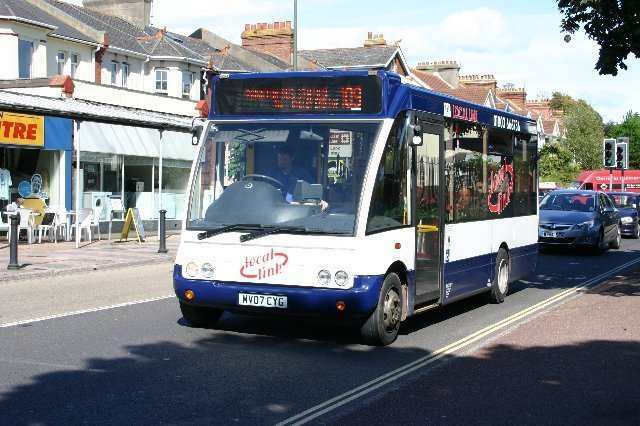 Over to Exmouth now with Dennis Alexander No 34030 on the 157 to Sidmouth. 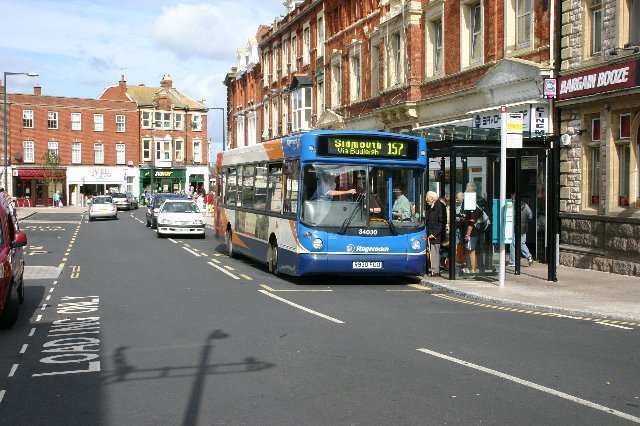 Budleigh Salterton, with Dennis Alexander No 33201 on the 357 service. Sidmouth, and 34095 with a 157 to Exmouth waits at the triangle. 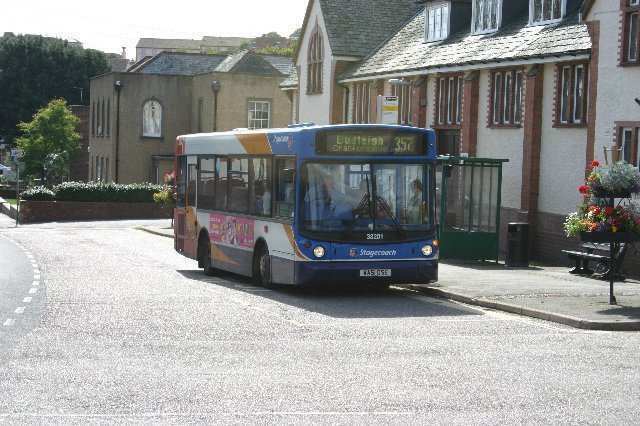 AE54HYW is seen on a 67 Brixham to Torquay (Willows) service. 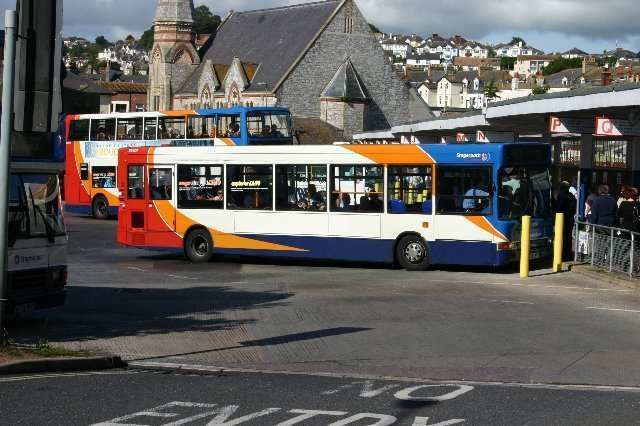 Solo CV55BAU waits at Torquay Harbour with a local 65 service. 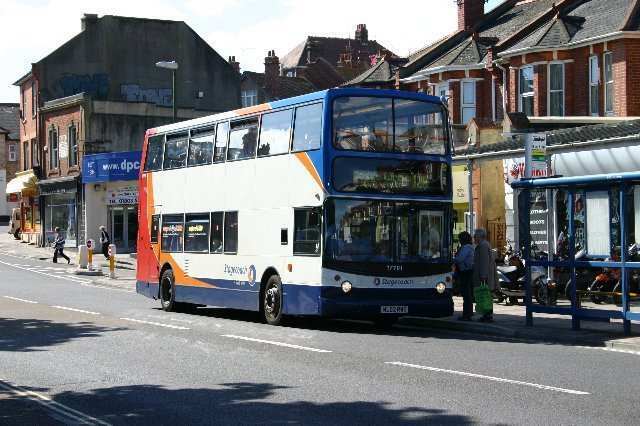 MV07CYG at Paignton on a local No 109 town bus service. The lower deck, being dedicated to the carriage of surfboards only. 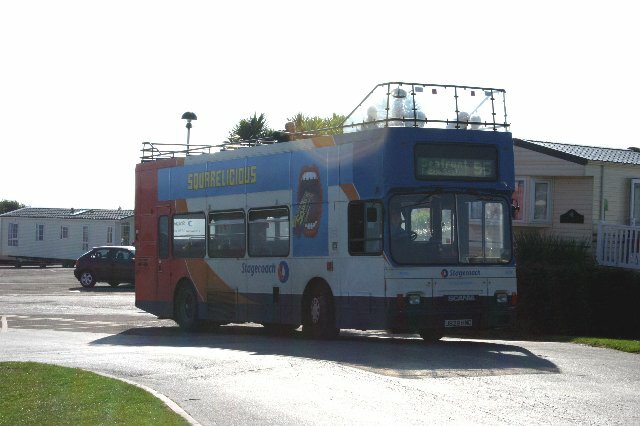 Sandy Bay on 29th September 2011. 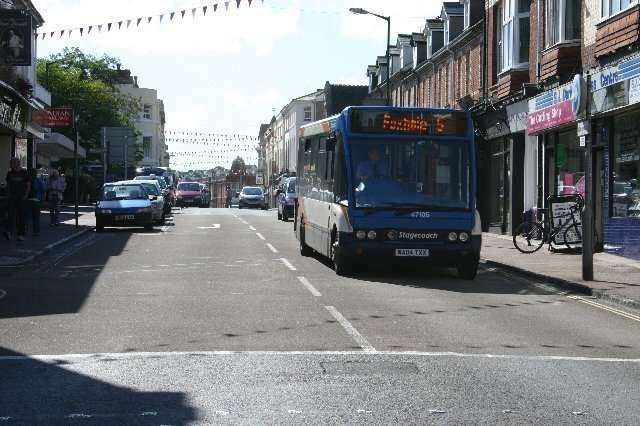 .......... and the view from the top as it passes along Exmouth seafront.